An old mentor of ours used to quip that a portfolio full of outperforming stocks will outperform the market. Obvious? Of course. Easy to do in practice? Not so much. One of the simplest ways to build a portfolio of outperforming stocks is to focus your investment attention and effort on sectors of the market where the majority of stocks are outperforming. 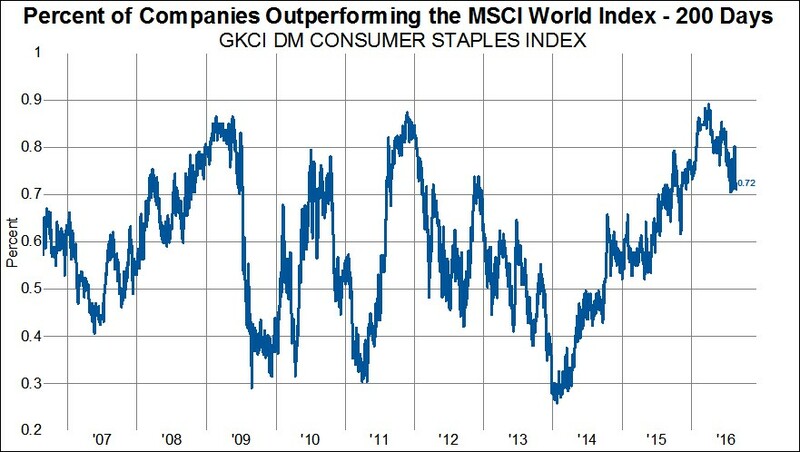 For example, why toil away looking at financial stocks, where only approximately 4 out of 10 are outperforming the MSCI World Index, when you can invest in consumer staple stocks, where approximately 7 out of 10 have outperformed over the past 200-days. 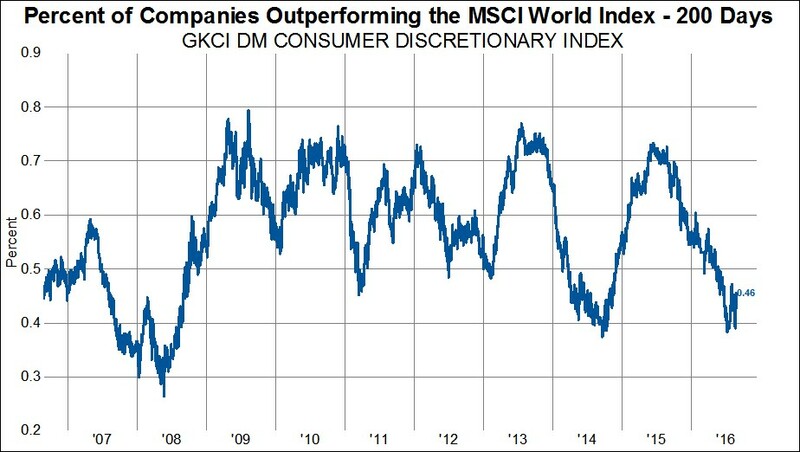 Consumer discretionary stocks are in a similar boat as financials as only 46% have outperformed the MSCI World Index. 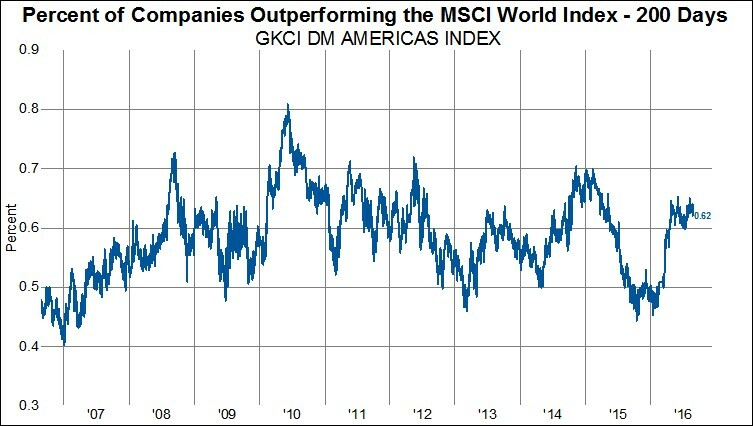 Meanwhile, material stocks are on its best 200-day run since 2011 as 64% of stocks have been outperforming. 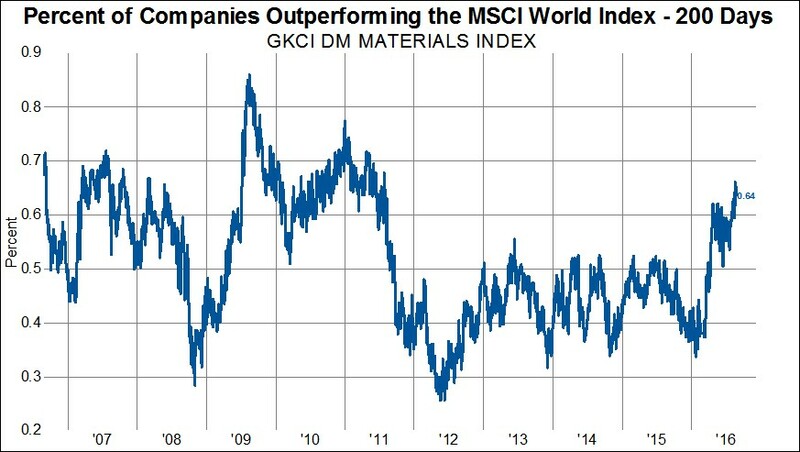 And while of course, these series tend to oscillate between 40-60%, the materials chart below is illustrative by showing that certain sectors can stay out of favor for several years at a time. The same analysis can be applied to regions as well. 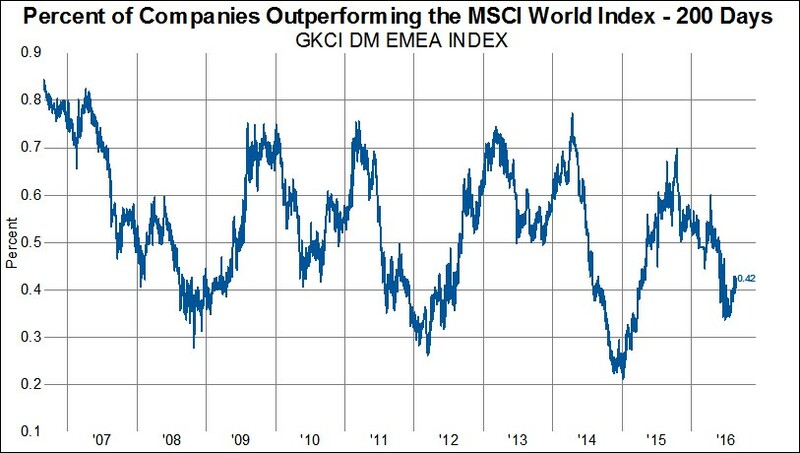 For the overall developed world, slightly more than half (55%) have outperformed. 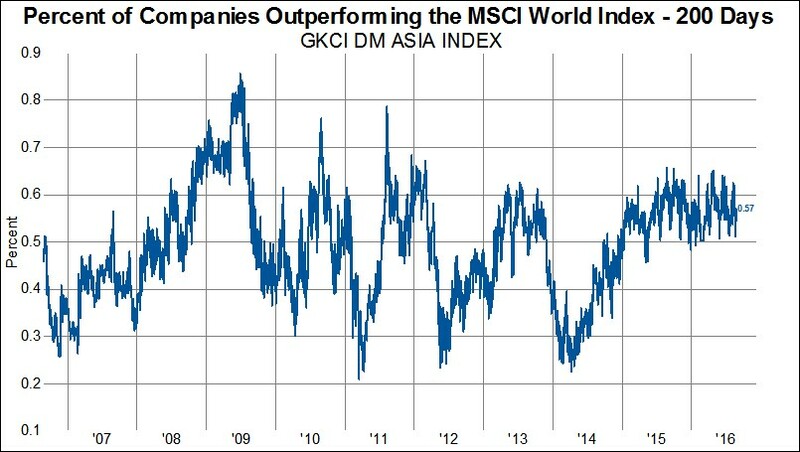 However, the odds of picking a winner have been much greater if you have been invested if DM Americas (62%) and DM Asia (57%) compared to DM EMEA (42%).